The first criteria dictates that you need a tool that can be used across all devices relevant to you. Cloud syncing is a prerequisite, and a shared library that allows you to easily access and search your content will do wonder for your productivity. The second one leaves more room for subjective opinions, but I think we can all agree that the less distractions there are, the more focus you’ll have. That’s why a simple note-taking app like Notepad remains relevant even to this day. As a perfectionist I find writing in programs like Microsoft Word to be really distracting, as I will be tinkering more with formatting and settings than actually optimizing content. As for the last one, there’s no going around it: Publishing structured and formatted text is more complicated than your everyday word processor might trick you into believing. I’m sure you’ve experienced unpredictable text styling before, or ever wondered why copying and pasting content into online editors have you reflexively clasp your hands and pray for the best. 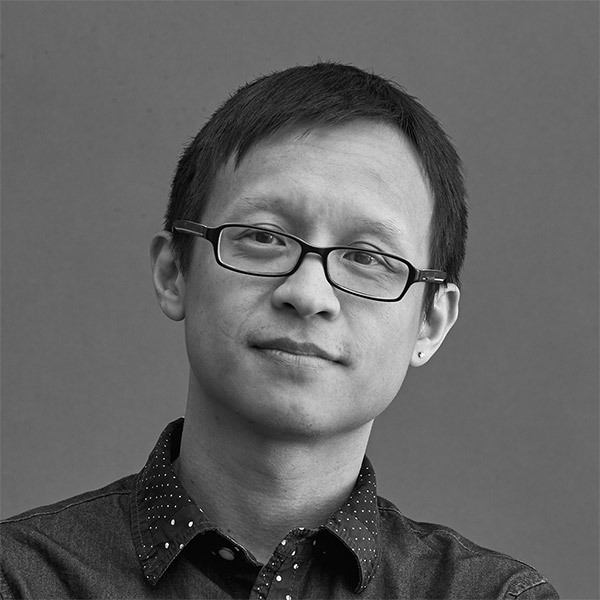 Anyone who knows some HTML or worked with layout applications before understand that you need to be quite specific in order to make content appear the way you intend it to; computers are simply not very good at reading your mind. Although I’ve come to peace with the idea that online publishing might never actually reach the point of it becoming truly easy, I’m striving to use tools that makes the process as smooth as possible for me. As you can see, apart from Ulysses I also use another app for smart devices, and I will explain why later. Both apps are Apple exclusive, but the key takeaway of this post is ultimately the reasoning behind my software choices, which is platform independent. Ulysses and Daedalus Touch are both so-called ”writing apps”. They’re designed specifically to let you focus on writing and keep your texts organised in cloud-synced libraries, much like Evernote or Apple Notes. The most distinct feature of these tools is the use of Markdown instead of the Wysiwyg styling. Markdown is a plain-text syntax that is designed to be easy to write and read. By enforcing you to actively mark up format and structure of your content in a way that is still humanly readable, it reduces the amount of misunderstandings down the road. A Markdown document can be easily exported to HTML, rich text, PDF documents, and even eBooks, with almost flawless results. If you want to get an idea of how it is to work in this format, click here to view this blog in Markdown style, and click here to change it back to normal formatting! You can always access these options in the footer of this blog. 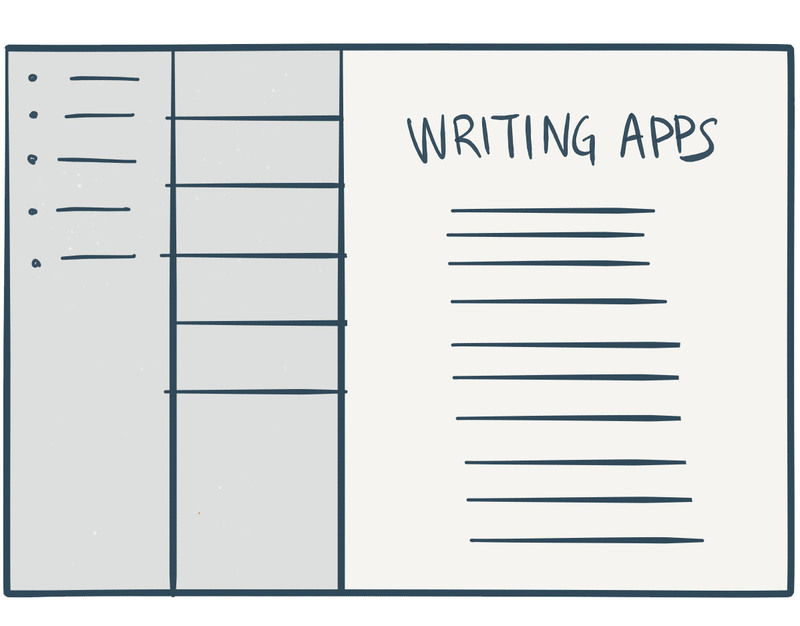 I learnt about the notion of writing apps when I started blogging last autumn. After having done one month of research and evaluation, I finally settled on a Mac and iPad exclusive writing software called Ulysses. At that time there was no iPhone version yet. I also tried some other excellent apps that had more simplicity and prettier typography, but my choice ultimately fell on the app with the best document library and export/publishing options. Being able to instantly access, sync or search your files on whatever device you’re on beats out all other options; navigating through file folders and double-clicking documents simply doesn’t feel as productive as it used to do in the past. Ulysses uses iCloud by default to keep its unified library in sync, but you can use external sources, like Dropbox, as well. You organize your “sheets” – essentially text documents – in groups or sub groups, and it’s all navigated through an intuitive multi pane design. You can search sheets, create filtered group views, and when you return to a text you worked on previously, the app automatically takes you back to the exact place you left off. No save dialogs, no file explorers, just carefree writing in a beautiful minimalist interface with both full-screen and split screen support in addition to an immersive “dark mode” that I have set as default. It’s also customizable in every aspect, allowing you to configure general typography, colors and even the templates used when exporting sheets to Word documents, PDFs or eBooks. The abundance of options could easily have been a drawback, but you only need to do it once; all your settings are synced across platforms and devices. Yes, this app is a thing of dreams. A great writing tool helps you focus your time and efforts more on the content and gives you tools to publish your work faster. Markdown powered apps may not be for everyone, and the majority of people might still prefer existing cross platform solutions like Evernote and OneNote. 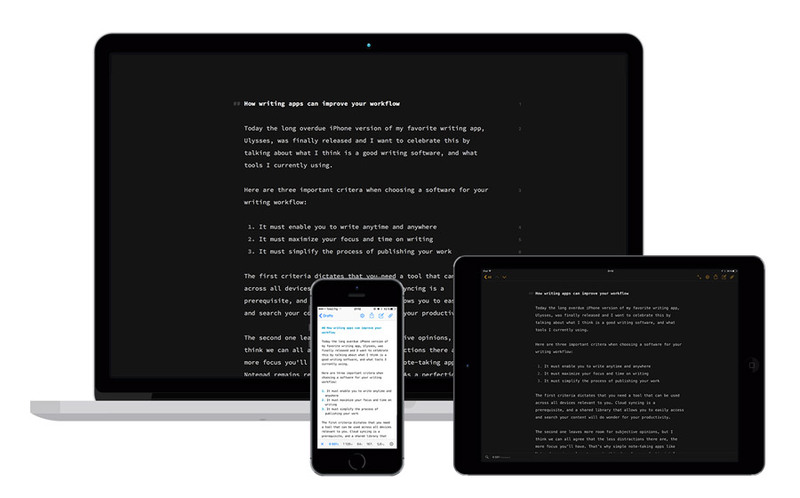 Ulysses Mobile is currently sold for a discounted introductory offer of $19.99 on App Store, but even at its normal $24.99 price, I’d still recommend anyone who loves writing to give it a try. What software are you using in your writing workflow?